Difficulty 2 / 5This song is ideal for novice mandlin players. CommentLeave a comment below! Print this song Simply click this little printer icon and your browsers print screen should open. Report Issues Having troubles with this tab? Do you have some improvements? Report it! Say that you love me, even if it's not true. And say that this storm is just passing through. And, baby, tell me you're not leaving. It's just the rainy season. The air's getting heavy and we both know why. So dance one more dance and tell one more lie. That it's just the rainy season. To keep you from being the one giving up. Yeah, in the rainy season. Baby tell me, you're not leaving. There is more than one artist with this name. 1. An American country singer 2. A Jazz musician 1. Hunter Easton Hayes (born September 9, 1991 in Breaux Bridge, Louisiana) is an American country music singer-songwriter and multi-instrumentalist. 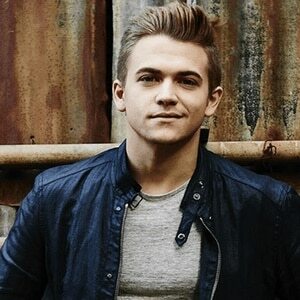 He is signed to Atlantic Records Nashville, which released his debut single, "Storm Warning", on May 16th, 2011. His first major stuido album, a self-titled release, came out on October 11, 2011. His latest work is 'Storyline'.